I was trying to test the CUCM failover by shutting down a server, there were two 7965 ip phones refused to register onto the server, and they only connect themselves to only one server. I have googled and found a solution here which works. The status message can be found from the phone itself, by choosing Status then Status message. Press the setting hard button (which has a picture of cascading square blocks and a tick), then look for Security configuration. Select the ITL file and unlock it. first press **# to unlock it, then select the ITL file. 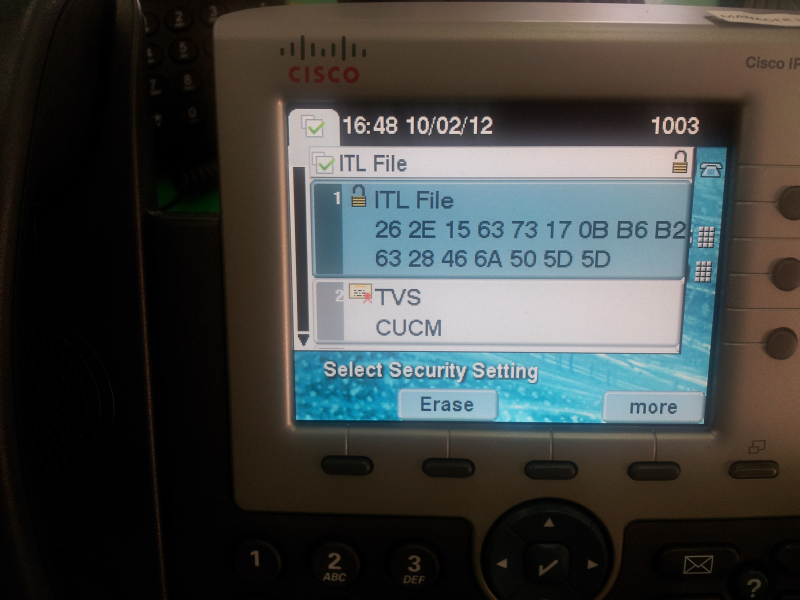 Press the unlock softkey to unlock the ITL file. Press More softkey until you find Erase softkey and erase the ITL file. 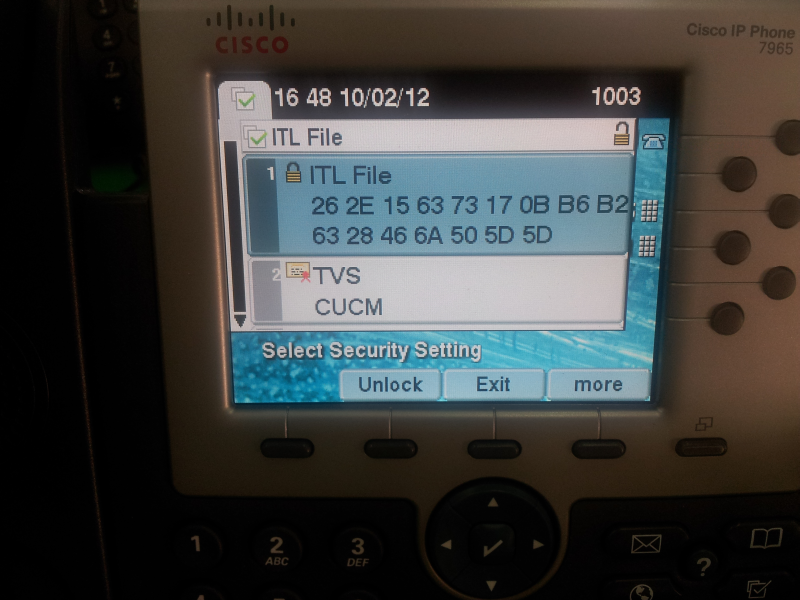 After erasing the ITL file, the Cisco 7965 phones can register to any CUCM servers in the cluster. 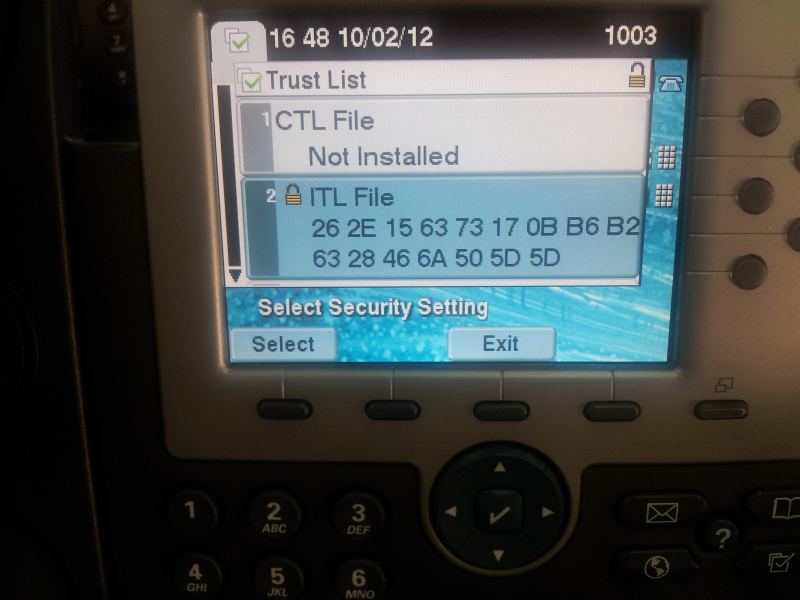 This entry was posted in IP Telephony and tagged Cisco 7965 IP phone, trust list update failed. Bookmark the permalink. Reg, it seems your CUCM server disable the autoregistration, did you actually manually create the Device > Phone into the CUCM publisher? Also manually put the TFTP server to be your CUCM publisher into your ip phone make sure your CUCM has turned on Cisco tftp service, turn on the service by going to Cisco unified serviceability, click on Tools > Service Activation. Hi Reg, I would like to know if you have resolved the problem which you had faced. If you have please reply to this post so that people who encounter the same problem as yours can find the solution. Hi, I have not resolved the problem yet.I figured my phone to use my TFTP server, which is also my CUCM publisher. I also activated tftp service under tools > Service Activation, yet my phone hasn’t grab the firmware. I don’t know if this matters but this is the firmware suggested to me by Cisco: cmterm-7945_7965-sip.9-3-1-1.cop.sgn. 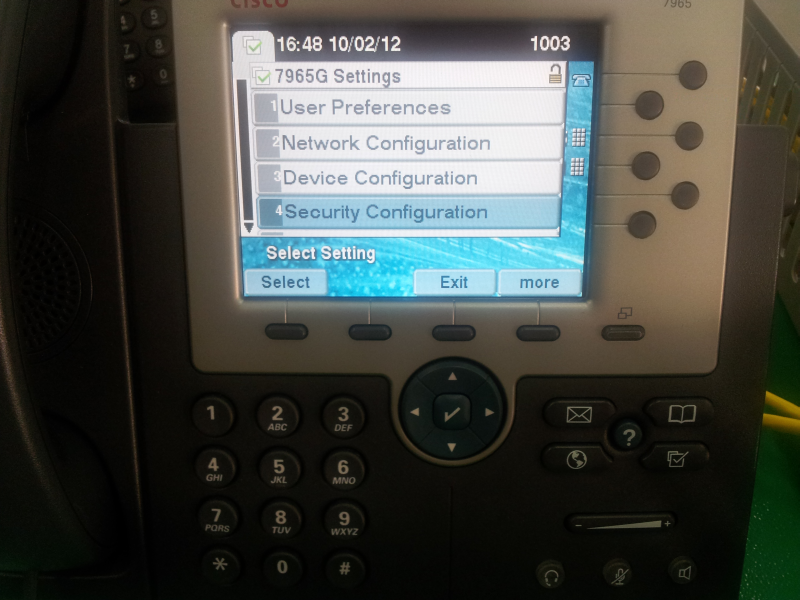 All the phone does is display “configuring IP”, but it doesn’t as if it’s doing anything. Any suggestions are greatly appreciated. Hi, I wanted to provide an update. I made a little progress. My vlan for the phone wasn’t configured correctly. So I reconfigured the switchport settings for the vlan and the network recognized the phone and the dhcp server assigned it an IP once I had reset the phone. 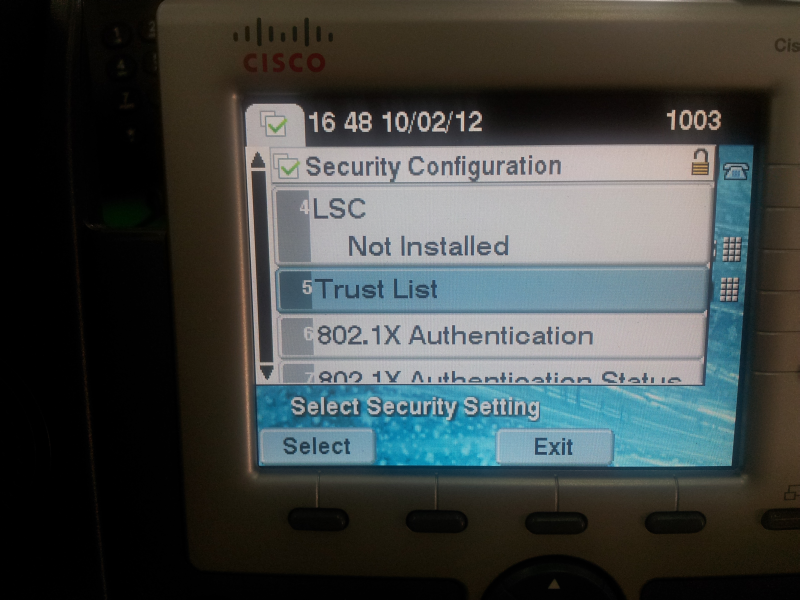 Then the phones started upgrading the firmware and registered with CUCM. The only issue I have now is that one of my phones is displaying “unprovisioned”. Other than that the phone is working!! Thanks for your assistance, it was much appreciated. Hi, I wanted to update on this, my phones are registered and now now I’m working with our provider. First I’m testing inbound calls via TDM through an ingres gateway to the CUCM. I will eventually change this to SIP once our SIP trunk is ready. I am also integrating CVP/UCCE/ICM as well.